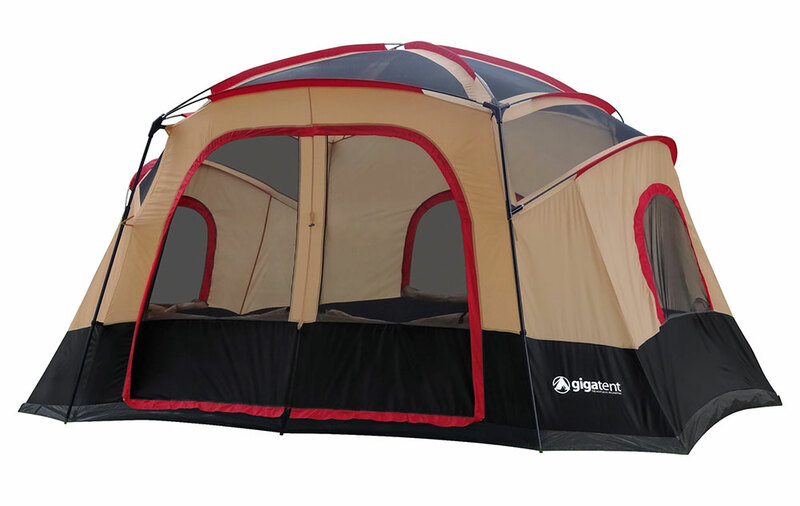 The Giga Tent FT020 Katahdin Family Tent shelters your family while camping, trekking, or touring. It comfortably accommodates up to six people. This tent can be divided into two rooms with the help of the removable divider. 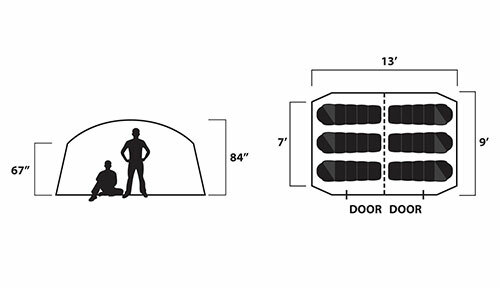 The two twin-track doors in the family cabin dome tent’s center provide easy access to either room. 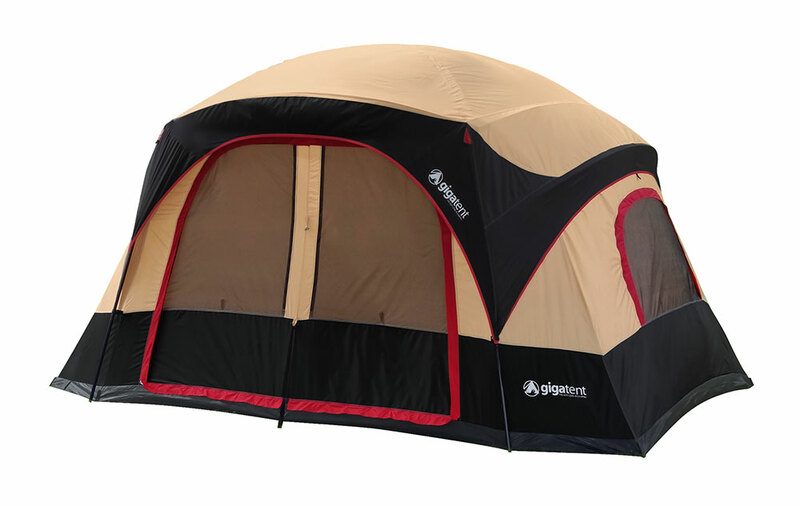 Five windows combined with the six roof vents help to keep the tent moisture-free. The dome and pole design increase interior space, while also adding maximum strength to the tent. Further, a bathtub floor means no ground level seams leak. This 13” x 9” tent is also flame retardant for added safety. It is made from durable polyester to offer long-lasting usage. The Zippered duffle-style storage bag comes with this tent makes for easy transport. The chain-corded steel and fiberglass poles make for easy setup. 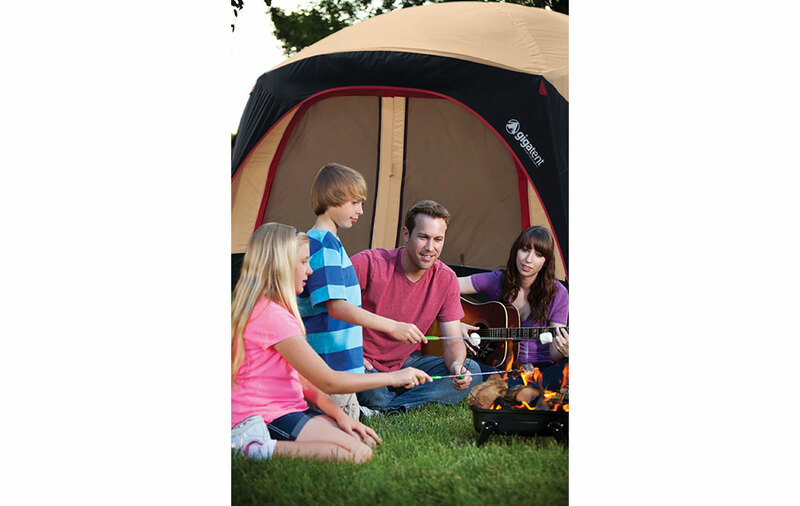 Go ahead, pack up your family or friends and head out for a weekend away with this Giga Tent Katahdin six-person tent.